The art of the instruments. This is when musicians actually played real instruments. When the guitar player hit the stage with that opening shredding chord and sets the drummer for the breakdown drum roll, you hear the bass player pounding away at the round wound bass strings in synchronicity with the drummer. That is what used to make the rhythm section of a band in my day. Flawless vocals accompanying the mix to complete the perfect elements of a hit song. But what happened to the great musicians in todays society? We have seemed to lost an original amazing talent, and replaced it with studio generated instruments that have a body but not a true soul.The studio musician is indeed a dying breed, and its up to us to keep the sound of a true and real instrument alive for everyone to hear, for the next upcoming generation musician who can then study and understand the true art of the instruments. 1.) Can you give me two necessary skills in order to play the Guitar? 2.) There is only seven meters in the musical alphabet (A-G) but there are 22 -24 frets on a guitar, can you explain that? 3.) 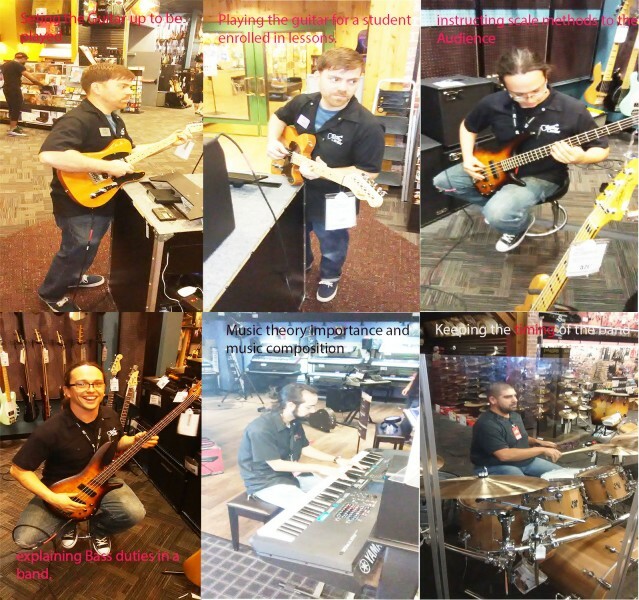 What is the difference between a major scale and a minor scale? 4.) Whats the difference between the bass guitar and the guitar? 5.) What are the names of the strings on the bass? 6.) Whats the bass players roll in a band? 7.) Can you explain how the Piano/Keyboard accompanies the melody section in a band? 8.) What’s the two black keys in a row? Whats the three black keys in a row? 9.) What is the roll of the drummer in a band or a session? 10.) How can the drums ad depth and space to a song ? 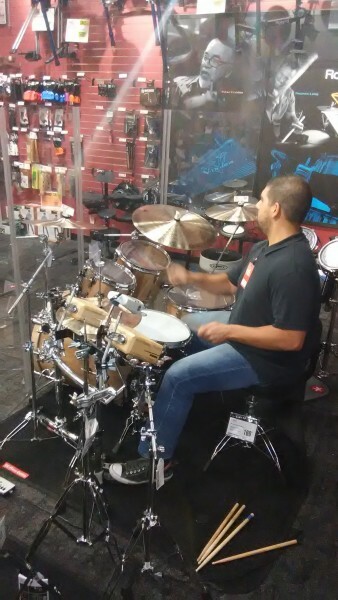 Studio Drummer/Drum Instructor Demonstrates what a drum breakdown is, when its used, how its used and why its necessary in progressive Rock music that changes keys signatures often. 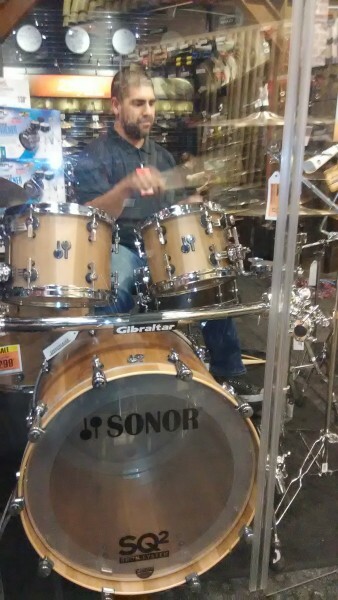 Studio musician and drum instructor demonstrates different drum pattern and techniques used by renowned drummers, this session he plays in the style of John Bonham, who was the Late Led Zeppelin drummer. This is the man that no one really notices, as he is strictly behind the scene. 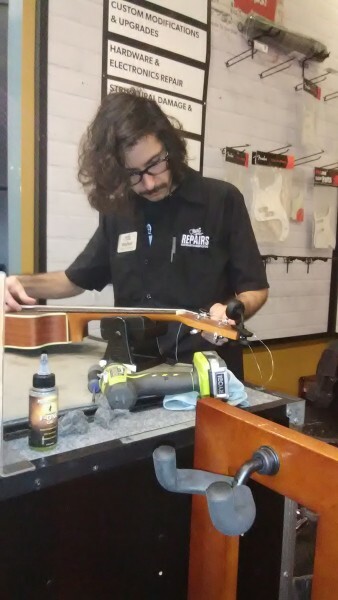 Here a Guitar Center service Tech sets up and fixes a guitar for a customer. Probably one of the most important guys in the business, his skills save time and money to any touring musician. Posted in Uncategorized | Comments Off on Keyboard Prep. 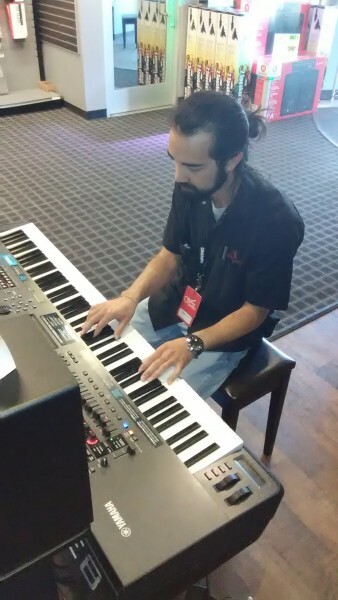 Keyboard player/instructor explains the keys and differentiates between the left side(bass clef) and the right side (treble clef) of the keyboard. then demonstrates a classical piece and how its played on this instrument. 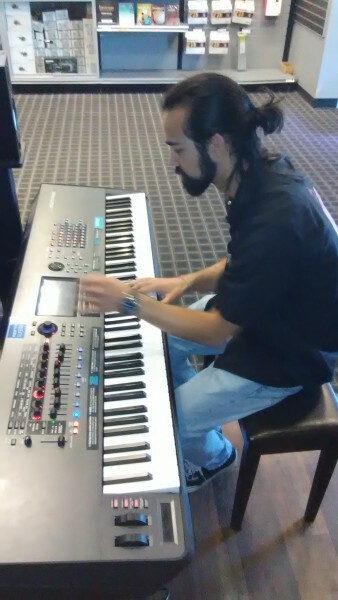 A keyboard musician sits down to play a psychedelic tune and demonstrate the instruments capabilities, by the push of a setting button the instrument changes tonal range and key signatures.